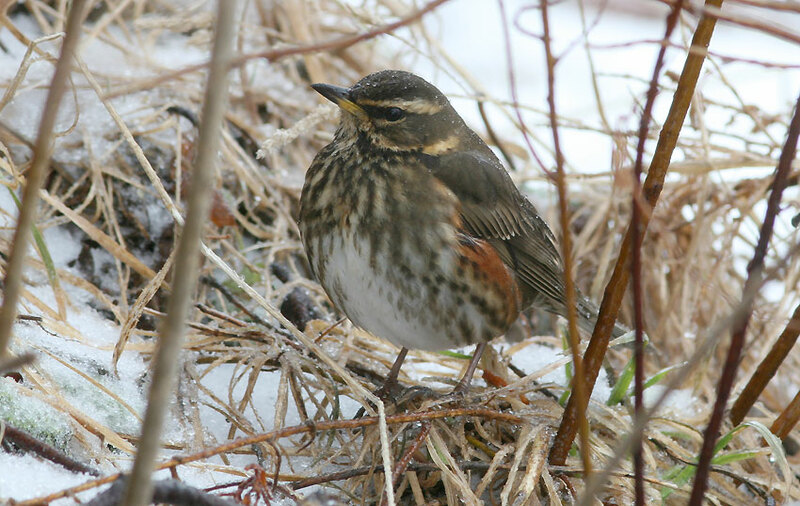 This particular Redwing was lakeside at Quidi Vidi, St. John’s in March 2008 – one of ~15-17 records for Newfoundland, by far the bulk of all North American sightings. Origins: Widespread across Europe (including Iceland) with an increasing foothold in Greenland. This species is very migratory, wintering well south of its breeding range. Record Details: There are currently ~15-17 records of this North American mega-rarity in Newfoundland – all but two in winter and often with flocks of American Robins. There is one summer record from St. Anthony on June 25, 1980 and one spring record from St. John’s on April 3, 2005. Two individuals were at Portugal Cove South on February 7, 2011. At least one was seen sporadically until March 3, 2011.